Hemaris thysbe - Hodges#7853 (Hummingbird Clearwing). Size: approx. 40-50 mm. Photo: 09/11/11, noon. 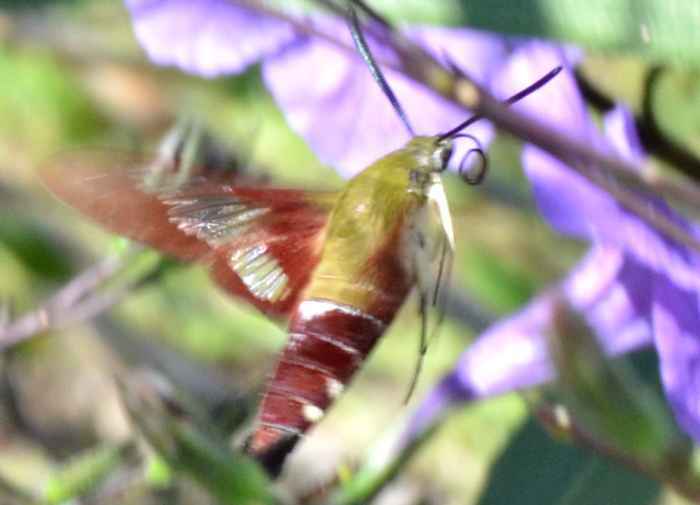 Once again I initially thought that I am looking at a humingbird but this is a Hummingbird Clearwing Moth (Hemaris thysbe). 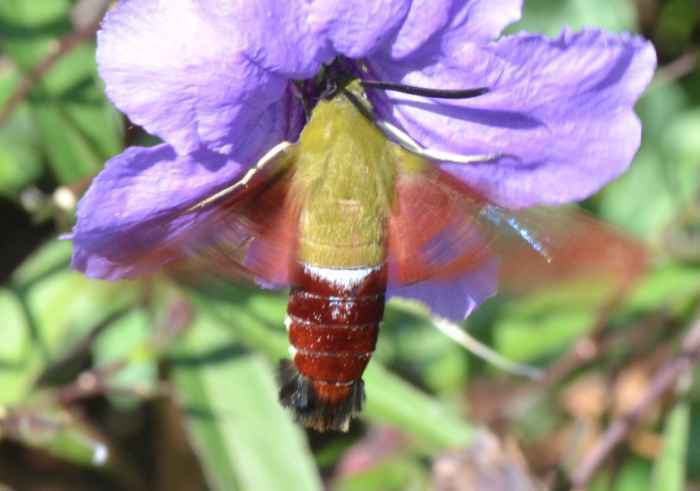 It was very difficult to take a decent photo of this fast flying and very nervous moth. Its larvae feed on hawthorn, honeysuckle, and viburnum while adults take nectar from deep-throated flowers like these petunias.